Based on its fresh market produce, it offers homemade and seasonal dishes, with special emphasis on rice dishes, which are the specialty and landmark of the Cullera de Boix cuisine. In fact, you will find a rice dish or paella, the house landmark, every day on their menu, one of the best paella’ restaurant in Barcelona. As a perfect menu, at the restaurant they suggest some nibbling options accompanied by one of the rice dishes, either based on seafood, as a sea and mountain variant or a risotto. You will also find a full wine list that was properly selected for each dish. They offer about ten DO wines, 80% of which are local, from Catalonia. One of the clear and firm commitments of Cullera de Boix relies on the selection of suppliers. The most emblematic example is that they choose companies that produce handcrafted products, such as Molino de Rafelet in the Deltebre region. Their rice is produced in the only wooden mill which is still working in Catalonia and in the rest of Spain, with a manual outdoor drying process. 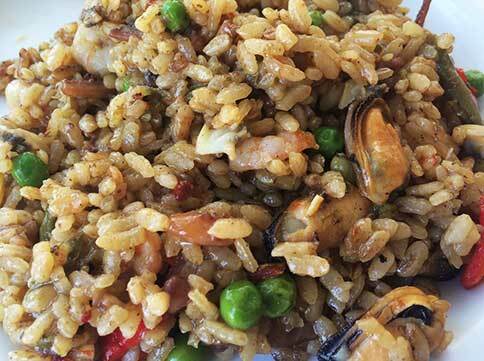 This type of traditional production can be perceived in the final result of the paella, which is tastier with its grains of rice cooked just right. And this is not the only handicraft supplier. Pasta Sanmartí from Caldes de Montbui, a noodle company boasting three centuries of experience, is also included. They work the traditional way, getting a sublime product made of durum wheat semolina and thermal water from this town in the Barcelonés region. Breakfast is also served with one of the most famous coffees in the country, the Café Saula, which has celebrated its 65th anniversary just this year. Fresh milk is sourced every day from Cal Porta. As to bread, this comes from Forn Boix, a traditional bakery in Barcelona, whereas the extra virgin olive oil is from Priordei, made from Priorat Arbequina olives. To keep up, follow the social networks and the new Cullera de Boix website, which has been launched this year and includes the GurmetBoix blogwith cuisine and industry news. It also features a section with all the recipes that chef Xavier Matarrodona publishes in the CUINA magazine each month, some of which have been selected in this collection. On Twitter, Facebook and Instagram, you will find the restaurant with the #CulleradeBoix label and the labels that are specific to each restaurant, #CulleraRambla, #CulleraBoqueria and #CulleraUrquinaona. 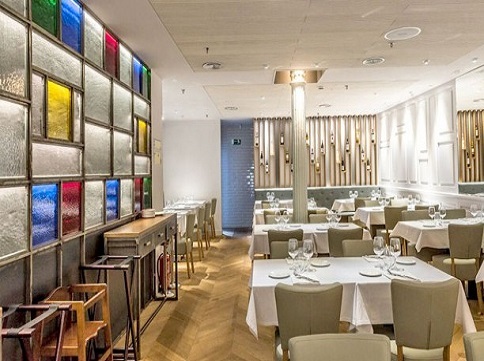 If you would like to eat rice next to the Rambla in Barcelona, make a reservation at the Cullera de Boix restaurant.